Abuja Nigeria, 30th April 2018. The HIV response in Nigeria is encumbered with cases of employment-related stigma and discrimination, which continue to constitute a major threat to the goal of ending the AIDS epidemic by 2030. The unequal treatment of workers based on their HIV status in the workplace is a clear breach of their right to gainful employment. A 2012 study of stigma among people living with HIV (PLHIV) in Nigeria showed that 26% of those surveyed Shad lost a job or source of income in the past year due to HIV related stigma. Managing HIV workplace discrimination and strengthening compliance to statutory anti-discrimination laws by employers and employees alike is a critical element of the HIV/AIDS response in Nigeria. There is clearly a need to protect the rights of people living with HIV (PLHIV) while promoting access to HIV prevention, treatment, care and support within the workplace. The pandemic of HIV/AIDS has become one the most critical workplace issues in our time. In addition to the epidemic’s devastating impact on women, men and their families, it affects the world of work in many ways. “People living with HIV/AIDS have a fundamental right to work just like everybody else – stigma and discrimination is a potent threat to this right and undermines opportunities for people to obtain decent employment” said the Director General of NACA, Dr Sani Aliyu. As part of the long term goal of eliminating stigma and discrimination in the workplace, the National Agency for the Control of AIDS (NACA) continues to collaborate with the International Labour Organisation (ILO), the Federal Ministry of Labour and Employment and other partners to ensure that employers of labour are aware of and comply with the provisions of the National Workplace Policy on HIV/AIDS (2013) and the National HIV/AIDS Anti-Discrimination Act (2014). The continuous engagement of relevant stakeholders has led to strengthened capacity for compliance and effective implementation of HIV workplace policies. It has also built capacities on available options for addressing discrimination including redress and made available legal services for survivors of human rights violations. 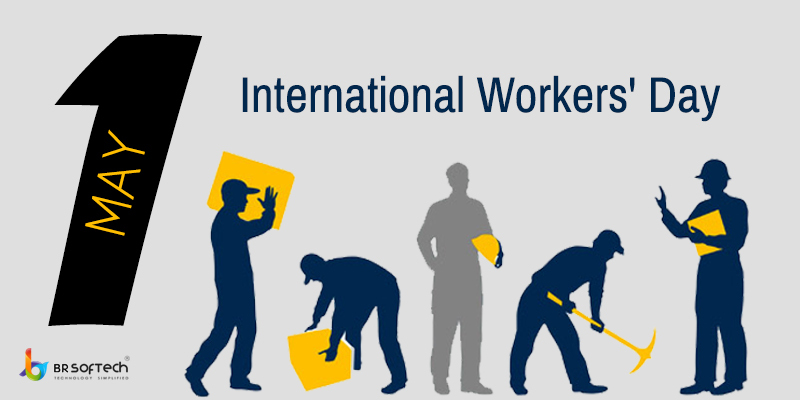 As we celebrate International Workers’ Day, we urge all the employers and employees of labour to join in the popularisation of the HIV/AIDS Anti-Discrimination Act and the implementation of its supporting instruments including the National Workplace Policy on HIV/AIDS and the National HIV/AIDS Stigma Reduction Strategy. “While we look forward to the end of the AIDS epidemic by 2030, the Government of Nigeria remains fully committed to improving the health of Nigerians and getting to zero new HIV infections, zero AIDS related deaths and zero discrimination.” – Dr Sani Aliyu, Director General National Agency for the Control of AIDS.